Ronald Reagan’s presidency was marked with many notable achievements–ending the Cold War, providing tax cuts for all Americans, and recording the most electoral votes in a presidential election. But in my humble opinion, Reagan’s greatest accomplishment came on July 9, 1984, when he proclaimed July 15, 1984, as National Ice Cream Day. Declaring the frozen treat as a nutritious and wholesome food, our 40th president, in all his wisdom, put ice cream at the top of the list of desserts and snack foods. The celebration of the popular dairy dessert continues today as July is marked as National Ice Cream Month with the third Sunday in July is set apart as National Ice Cream Day! No matter how you like your ice cream–on a cone, in a bowl, or straight from the carton–this national day has found the perfect place in the middle of summer. So celebrate it! 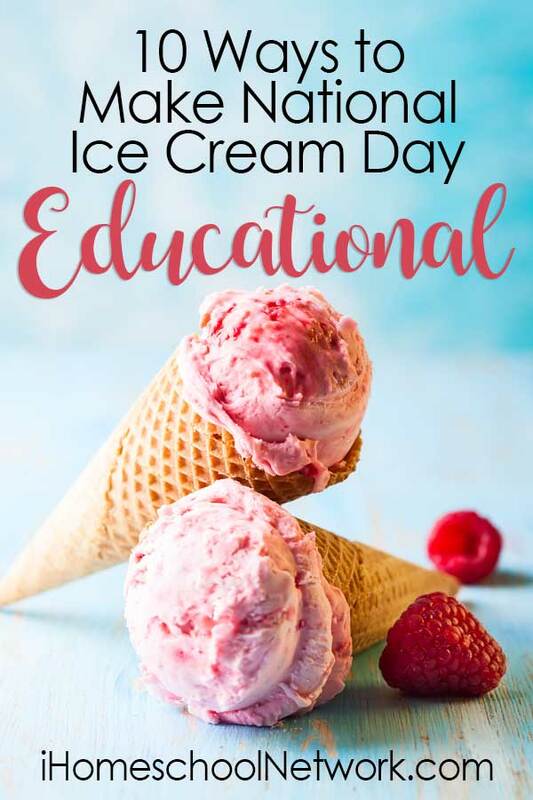 Share a scoop with your kids and take the fun further with these educational activities on summer’s second best holiday! Teach your preschooler spelling, size sequencing, colors, patterns and more with my free Ice Cream Preschool Printable Pack. Practice problem solving, estimation and measuring by making ice cream with this easy lesson from Beyond the Chalkboard. Learn about insect anatomy with a few hefty scoops of ice cream and a generous serving of “magic” shell topping. Frozen insects never tasted so good. Do a quick study on matter and how solids and liquids can form into a new mixture…you guessed it…ICE CREAM! Learn about melting points and why salt is a key ingredient in making such a sweet treat. Get your kids moving with this easy ice cream recipe that doesn’t require an ice cream machine. Discover ice cream’s storied past–from the 2nd Century BC to today–with this short video. Practice your money math with this ice cream sundae shop activity. Make some fun refrigerator art with this handcraft activity. Introduce your kiddos to the quirky, silly and sometimes downright odd poetry of Shel Silverstein’s with his ice cream-inspired poem 18 Flavors. Warning, don’t try all of these activities in one day. For obvious reasons, you’ll regret it. Remember, Ronald Reagan gave us the entire month of July to celebrate. Enjoy it! Madonna is a tenured teacher who said goodbye to the classroom and hello to being a homeschooling mom of two. Her days are filled with silly songs, homeschool activities, and all the other various mommy tasks. 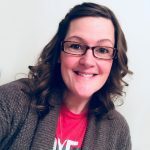 In hopes to connect and collaborate with other stay home moms, she jumped into the blogging sphere. On her blog, A Teaching Mommy, she shares FREE resources to help you plan a variety of activities for your toddler, preschooler, and kindergartner.